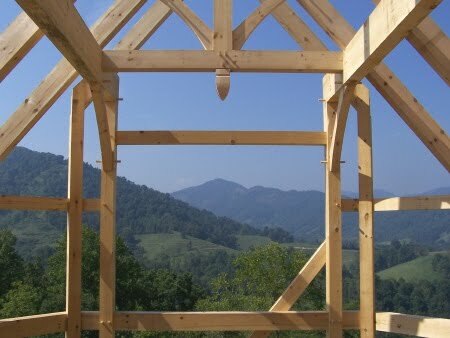 Once again, I thoroughly enjoyed attending the Southeast Wood Solutions Conference. It was held in Atlanta, GA this year. I certainly love the “international perspective” that is offered at this conference ~ all five seminars I attended had presenters from Europe. What an experience to broaden my horizons through exchange of global knowledge. The Architectural Innovation Track began with a fantastic case study of the Centre Pompidou-Metz and Serpentine Pavilion presented by Andrew Lawrence of the UK. 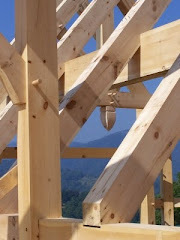 The European fabrication techniques and manufacturing processes and watching the construction of doubly curved and twisted timber elements forming grid shells was definitely fascinating. The presentation by British architect Sophie Campbell on “Innovative Use of Cross Laminated Timber” (CLT) was also enlightening. This focused on the Open Academy in Norwich, the largest timber structure building in the UK. I was especially intrigued with the methodology and thought process behind the design which is a coliseum-like structure. Very inspirational. What a unique opportunity it was to hear Egyptian born US architect Nabin Tahan speak. 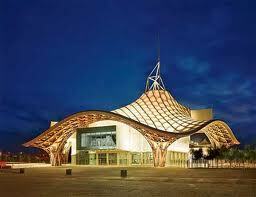 His work in Europe and especially in Austria was thought provoking. With my own background having both of my parents from Europe, I found this particularly interesting. The presentation focused on energy-efficiency and sustainability in design and construction of timber buildings in Austria. Learning of the “European Passive House Standard” approach was very insightful as well as the range of “High Performance” European products available and the integrated “systems built” approach to the pre-fab process in Austria. 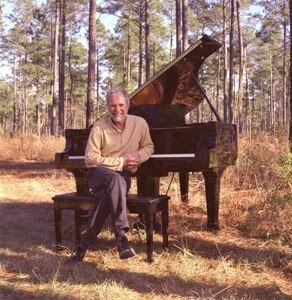 I must say the keynote presentation during lunch by Chuck Leavell, internationally renowned musician, author and tree farmer, as well as keyboardist for the Rolling Stones was pretty special. We also had a rare opportunity and pleasure to be entertained by him at the piano as he played “Georgia On My Mind”. He spoke of his passion for forestry, the environment and the meaning of stewardship. At the presentation for the Wood Design Awards, I was especially impressed with the Willson Hospice House in Albany, GA designed by Perkins & Will; the Canoe Club in Palmetto Bluff, SC by architect Hart Howerton; and Pleasant Ridge Camp & Retreat Center in SC by DP3 Architects. The conference ended with a great presentation on the “Eden Project-The Core” in Cornwall, England presented by German architect Ulrich Dangel. 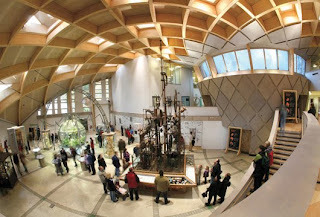 The Core is an Education Resource Center and supporting facility to the Eden Project; a series of geodesic biome structures for housing botanical collections. What was most intriguing to me again was the design process which evaluated ordering systems found in nature which were then translated into the design concept. 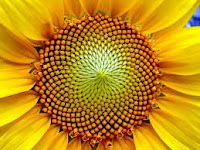 Reminiscent of Architecture School, I enjoyed the discussion on the “Fibonacci Series”, “Golden Section Ratios”, and “Phyllotaxis” or geometry of plant growth. This really made you think about the relationship between man and nature; people and plants. We took a close look at spirals in nature (sunflowers, pine cones, seed pods). This reminded me how important it is to stop and smell the roses once and awhile; to spend some quiet time in the wilderness, forest or a park.